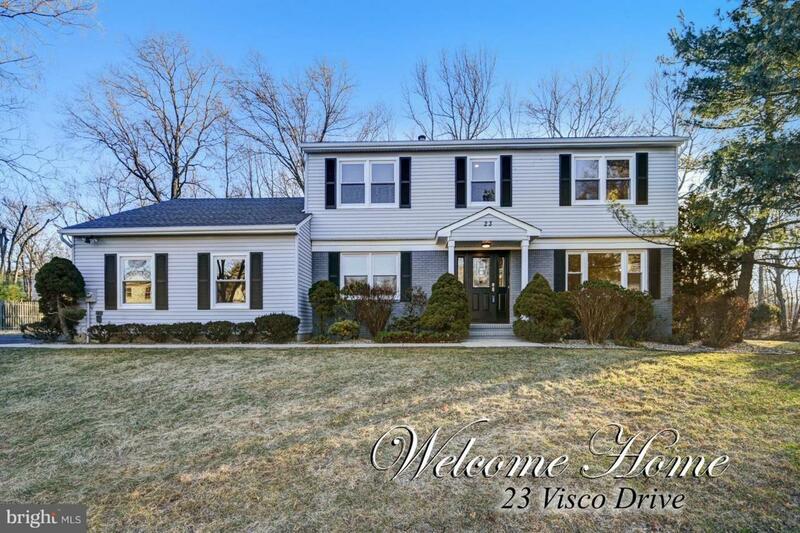 This is a must see immaculate, north facing, fully-remodeled, contemporary, large, 5 bedroom, 2.5 bath colonial home in North Edison located in a large, cul-de-sac, semi-private lot. Every inch of the house is brand new. From the roof, to the windows, hardwood floor, carpets, new kitchen with granite counter tops, white shaker cabinets, Samsung stainless steel appliances, new Samsung washer/dryer, all new bathrooms with marble counter tops and elegant finishes, new recessed LED lights through the house, new closets, new doors and hardware through out the house as well as digital thermostats, new garage doors & driveway, basement newly semi-finished, freshly painted, two-zone HW heater, central HVAC, French drain, sump pump and much more. Come and see today!